We recently visited a local Citizens Information Centre in Cork in search of guidance on citizenship for my wife, but hadn’t expected to encounter such a cavalier attitude. Picking up on this, the employee shrugged awkwardly as if to say “That’s the way it is”. Was this simply ‘casual’ racism or a flash of frustration from a jaded worker all too familiar with the odds stacked against migrants and ethnic minorities? It is a familiar story to Simon Prim, Racist Reporting Officer at Nasc, the Irish Immigrant Support Centre based in Cork. His clients have had similar experiences when accessing goods and services, with ‘visible’ minorities, such as black Africans and Roma particularly at risk. Yet racist incidents often struggle to gain traction – unless you happen to be Oprah that is. The billionaire’s negative experience in Switzerland recently has near sparked an international incident. Prim agrees that big names make big news, but pointed out that this can work to great effect locally too. He is full of praise for the likes of Seán Óg Ó hAilpín, Simon Zebo and comedian Tara Flynn (who fought back in June with hilarious yet poignant Youtube video ‘Racist B & B’) They’ve all gone to bat to combat racism, but is it a growing problem in Cork? Nasc has certainly seen a rise in reports over the last 12 months, though they highlight it may also be down to greater public awareness. If so, this is surely welcome. The continued foot-dragging by our Government is less so. ‘Stop the Silence: A Snapshot of Racism in Cork’, a Nasc report from November 2012 found government policies inadequate. It also found racism to be widespread in Cork (though improved upon since a previous report), as well as severely under-reported. Most pertinent in this time of austerity is a plea that budget cuts should not fuel racism, and yet several important gatekeepers remain muted. It reflects their lack of commitment towards making equality and integration priorities, says Prim. The Government holds a wayward record in this area. The quashed equality initiatives and bodies; the closing down of the National Consultative Committee on Racism and Interculturalism; the failure to implement a new National Action Plan on racism. Will Budget 2014 correct such deficits, I wonder, or further exacerbate our failure to live up to international obligations? Other findings echo this lack of action. The Integration Centre refuted a claim back in June that would have been marketing gold to the PR team over at The Gathering Inc. Ireland at one stage appeared to be nearly 30 times less racist than England and Wales. 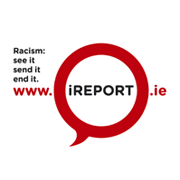 ‘Recording Racism in Ireland’ indicates that Ireland is failing spectacularly when it comes to official data collection, thanks to legislative shortcomings, general miscommunication among various sections of An Garda Síochána and the inability of the Garda PULSE system to properly log or even accept certain racist incidents, amongst others. The latter to me is particularly ludicrous. Online hate speech is another front policy-makers are failing to engage with. The Immigrant Council of Ireland released statistics in July demonstrating more than 10% of reports to them in the last year stemmed from this area. This is dangerous territory, with websites like Ask.FM now public enemy number one. 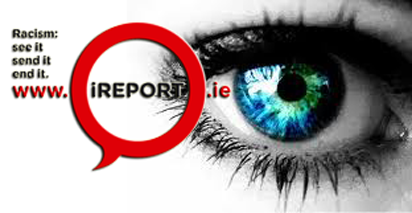 While the intricacies of freedom of speech versus censorship are too broad to discuss here, the launch of www.iReport.ie is a welcome foray into the 21st century. That it is NGOs who are behind the initiative is telling, with general monitoring and successful prosecution remaining a challenge as our ancient hate crime legislation fails to keep pace. You can remind the powers-that-be of their commitments by using official and third-party reporting mechanisms wherever you encounter racism. Nothwithstanding, it is important to acknowledge that while racism continues to exist in the land of a thousand welcomes, it is but a small minority engaging in such despicable behaviour. Cork has proven itself again and again to be a diverse and welcoming city. Like so many other challenges facing Ireland, I think it’s all about keeping the discussion going where injustice remains. Let’s keep the (melting) pot on the boil.